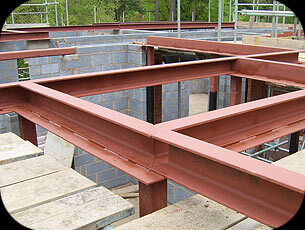 If what you require is made of steel - we manufacture it. We are steel fabrication specialists, producing a range of steel structures and features. With over 17 years’ experience, we pride ourselves on our ability to produce all forms of steel fabrication. Whether it’s supply and erection of steel beams, a simple splice joint, to on-site steel delivery and welding, we have the expertise you can trust. Our services cover the whole of United Kingdom. Whether you have your own design or need assistance in producing a design, we are on hand to help reach your goal. We consult with a structural engineer who will ensure that any steel structures meet all the necessary legislation requirements.